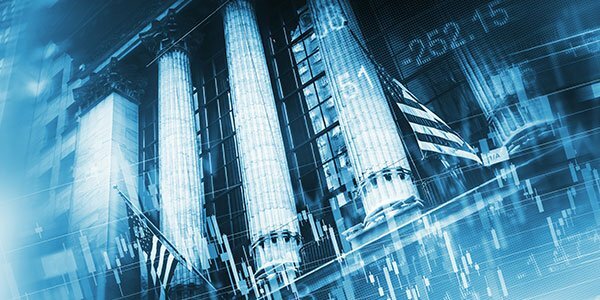 Market Update – July Edition: Earnings Lift Wall Street to New Records; Bank of Canada Joins Fed in Raising Rates - Inukshuk Capital Management Inc.
August 4, 2017 /in Market Update /by Inukshuk Capital Management Inc.
Wall Street’s bull run intensified last month, as upbeat corporate earnings lifted the major indexes to multiple record highs. North of the border, Canadian stocks capped off another disappointing month, as the loonie rose to multiyear highs following the Bank of Canada’s decision to raise interest rates. Wall Street posted stellar gains in July, as capital flowed back into tech shares and volatility plunged to record lows. The large-cap S&P 500 Index returned 1.9% for the month. The Dow Jones Industrial Average added 2.5% and the Nasdaq 3.4%. Corporate earnings provided much of the catalyst for the gains. As of July 28, 73% of S&P 500 companies had reported better than expected second quarter earnings, according to financial research firm FactSet. That was based on 57% of companies to have reported. Stocks were also supported by dovish remarks by Federal Reserve Chairwoman Janet Yellen earlier in the month. In her semi-annual testimony before Congress, the Fed boss expressed deeper worry over weaker inflation and provided assurance that monetary policy will evolve only gradually in the coming years. The Bank of Canada (BOC) joined the Federal Reserve last month in becoming one of only two major central banks to raise interest rates. The move, which amounted to a quarter-point hike, came after months of stellar growth for the Canadian economy. Rate watchers say the BOC will tighten monetary policy further in October after the Canadian economy posted another month of blow-out growth. Gross domestic product (GDP) expanded 0.6% in May, three times higher than forecast, Statistics Canada said in its latest release. That translated into annualized growth of 4.6%. The combination of booming growth and rising interest rates propelled the Canadian dollar to two-year highs. The loonie ended the month near 80 U.S. cents. Markets remain generally very bearish on the U.S. economy, the Federal Reserve and the dollar. This bearishness is reflected in the greenback, which has declined nearly 9% against a basket of world currencies this year. Growth optimism failed to generate strong returns on the Toronto Stock Exchange, which continues to lag its counterparts on Wall Street and in Europe. The S&P/TSX Composite Index climbed 0.5% in July, following a 1.1% decline the previous month. The benchmark index, which has outsized exposure to energy companies and the nation’s top banks, has struggled all year long to find its footing. A steep rise in energy prices last month aided the Canadian dollar in its pursuit of a higher exchange rate, which in turn weighed on Toronto-listed stocks. Canadian equities are operating in a stronger domestic economy, but face uncertainty due to upcoming NAFTA negotiations and an increasingly protectionist U.S. government. NAFTA renegotiations are scheduled to begin August 16. Market participants are also monitoring developments on the Korean Peninsula after Pyongyang successfully test-launched a ballistic missile that it claims can reach the United States. President Trump has criticized China for failing to prevent North Korea’s rapidly expanding missile program, urging Beijing to step up efforts to rein in Kim Jong Un. FactSet (July 28, 2017). Earnings Insight. Sam Bourgi (July 12, 2017). “S&P 500 Futures Rise in Broad-Based Rally as Volatility Dips.” Economic Calendar. Janyce McGregor (July 19, 2017). “NAFTA talks: Trump administration announces date in D.C.” CBC News. Thomas Kaplan (July 18, 2017). “’Let Obamacare Fail,’ Trump Says as G.O.P. Health Bill Collapses.” The New York Times.